2 Bdrm Grnd flr Flat. Hall. Lounge. Dining kitch. 2 Bdrms. Bathrm (CT band - D). Parking. 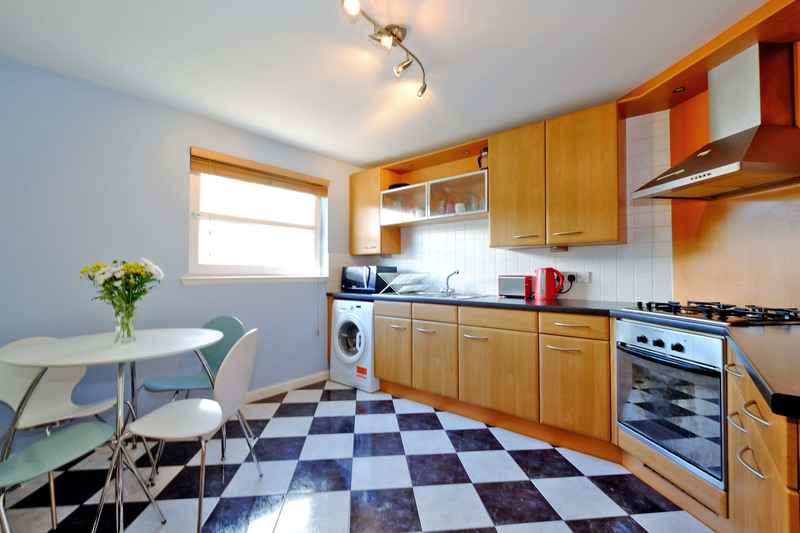 Price over £195,000 Entry by arr. Viewing Leila McLaren 07557 737692. (EPC band - C). 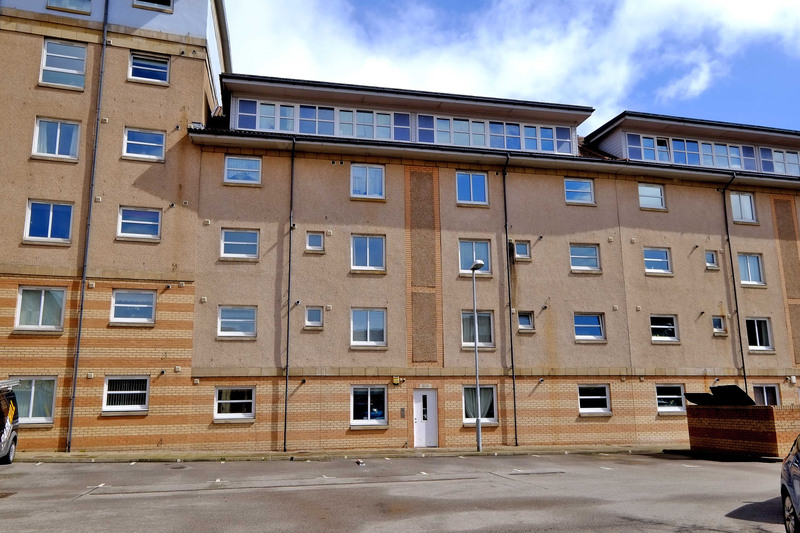 We are delighted to offer for sale this attractive, two bedroom, ground floor apartment which forms part of the popular Bannermill Development, close to Aberdeen Beach. 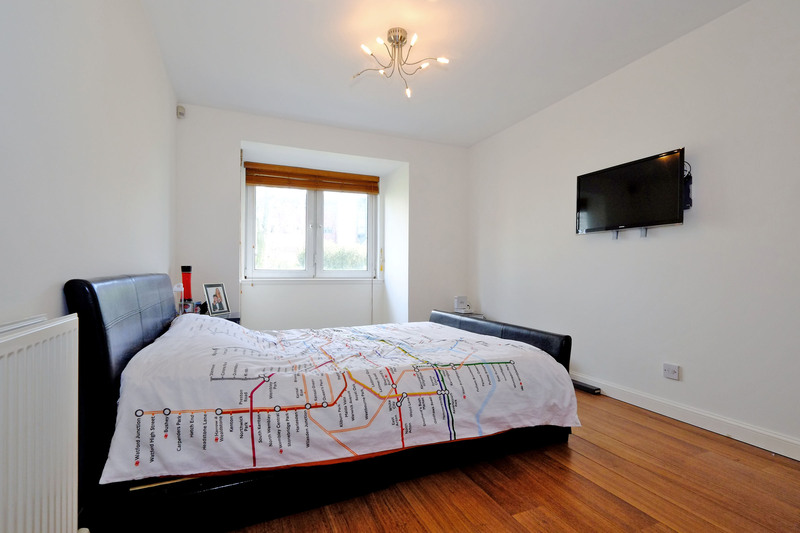 The property enjoys generous proportions and has the benefits of gas fired central heating, full double glazing, a door entry system, an intruder alarm system, secure parking with CCTV monitoring, together with generous built-in storage facilities. The accommodation, which will be sold inclusive of all floor coverings, window dressings, light fittings, and integrated white goods, comprises: welcoming entrance hall, lounge ( currently used as a bedroom) with box style bay window, modern kitchen fitted with a comprehensive range of cherry wood effect units and affording ample space for dining, two good sized double bedrooms, each benefiting from built-in mirror fronted wardrobes, and an attractive bathroom with modern white 3-piece suite and over-bath shower. There is a factoring agreement in place for the communal areas and landscaped grounds within the development, which ensures that a high standard is maintained throughout. 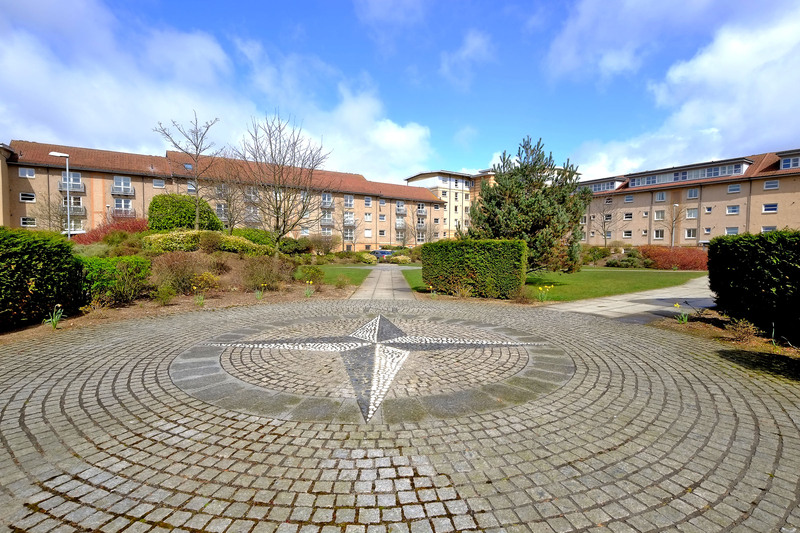 LOCALITY: The development is located within walking distance of the City Centre, with its wide range of amenities, and of Aberdeen University at Old Aberdeen. The University Campus at Garthdee is also easily accessible via public transport on nearby King Street. Local shops are close by providing for everyday needs, as well as the retail park and leisure facilities at Aberdeen Beach, which include the Aberdeen Sports Village, Kings Links Golf Centre with driving range, a multi-plex cinema, a bowling alley, and a wide choice of reputable restaurants. GENERAL: Entrance Hall, Lounge, Dining Kitchen, 2 Double Bedrooms, and Bathroom. Gas Central Heating. Double Glazing. Intruder Alarm. Door Entry System. Designated & Visitors' Parking. ENTRANCE HALL: Central to the property and providing access to all rooms via beech doors, the entrance hall is spacious and benefits from two built-in storage cupboards, one housing the electric meter and fusebox. Wall mounted door entry handset. LOUNGE: (13'6" x 9'9" approx) Currently used as a bedroom this room has a pleasant open outlook overlooking the front of the property, and plenty of room to accommodate a variety of furniture. 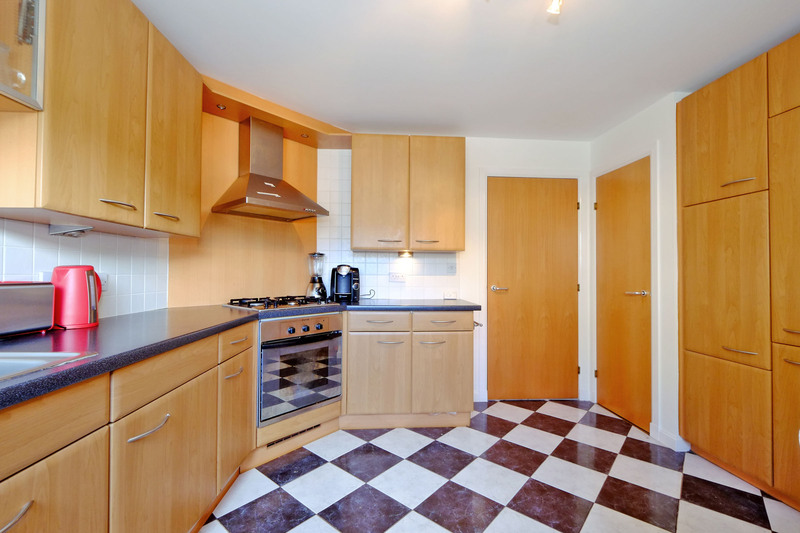 DINING KITCHEN: (12'01" x 10'9" approx) Well appointed and spacious kitchen fitted with a comprehensive range of cherry wood effect base, eye level, drawer, opaque fronted and larder style cabinets finished with chrome handles, contrasting black work surfaces, and splashback tiling. Concealed lighting below the units. Built-in cupboard housing central heating boiler. One and a half bowl stainless steel sink and drainer with mixer tap. Stainless steel 4-burner gas hob with chimney style extractor hood above, and electric oven/grill below. Integrated fridge/freezer. Space for washing machine. Chrome spotlight track. Rear facing window fitted with wooden venetian blind. Space for table and chairs. 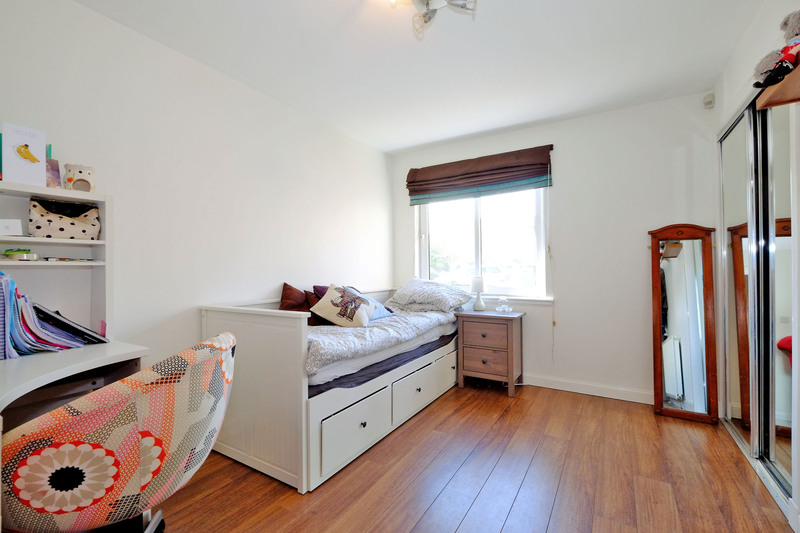 DOUBLE BEDROOM 1: (12'3" x 10' approx) Attractive front facing bedroom benefiting from a mirror-fronted double wardrobe providing hanging and shelving facilities. Concealed aerial for wall mounted TV. Polished chrome spotlight fitting. Wooden venetian blind and curtains fitted to window. DOUBLE BEDROOM 2: (11'11" x 9'1" approx) This time rear facing, good sized second bedroom, again with built-in wardrobe finished with sliding mirrored doors. Roman and micro venetian blinds. Spotlight fitting. Television aerial point. Laminate wood flooring. 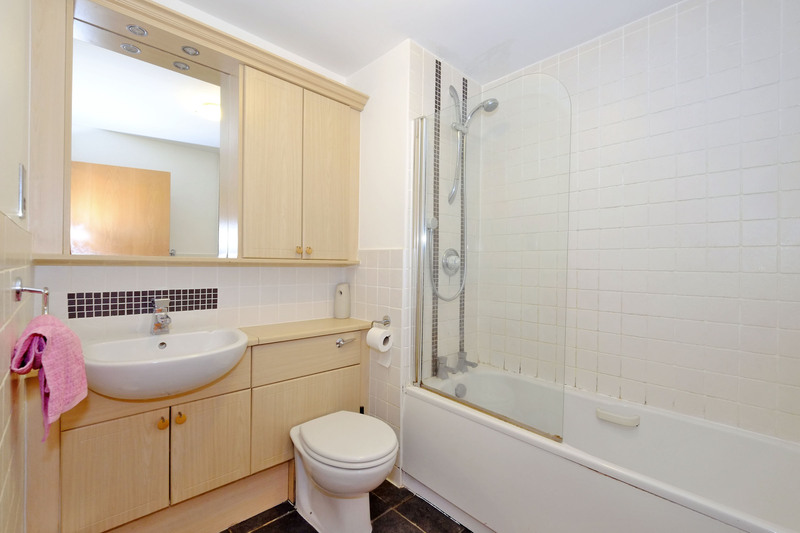 BATHROOM: Fitted with a modern white 3-piece suite comprising: wc with recessed cistern, and counter-sunk wash hand basin, both contained within a vanity unit; and bath, above which is a chrome mains powered shower and glazed door. Co-ordinating wall mounted storage cabinets with central mirror above the vanity unit. Ceramic wall tiling around the bath and splashback areas. Chrome shaver point, towel holder and co-ordinating accessories. Chrome ladder style radiator/towel warmer. Ceramic floor tiles. OUTSIDE: Carpeted outer hallway with shared storage cupboard. Locking mailboxes. Bike shed. Bin store. Landscaped grounds. Designated parking space within barrier controlled car park. CCTV has recently been installed within the development. DIRECTIONS: From the east end of Union Street turn left onto King Street. At the traffic lights turn right onto East North Street, then take the first exit off the roundabout onto Park Street. Turn right into Constitution Street where the development is located along on the right hand side of the road. On entering the development turn left and follow the road round where number 223 is clearly identifiable.